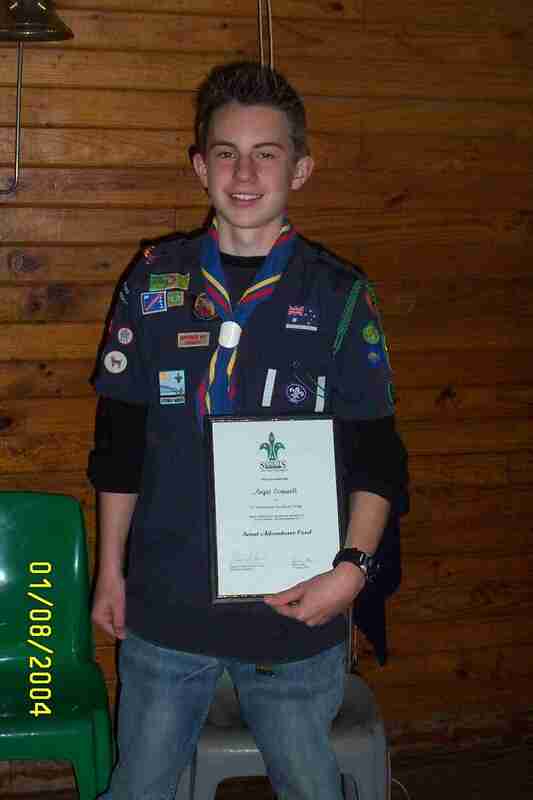 Angus Cornwell (PL) has been a member of 1st Tambourine Bay Sea Scouts at Riverview since 2001, coming up from Cubs. Angus was promoted to Patrol Leader in 2003 and has participated in various camps and activities with the Troop over the years, including AJ2004. He consistently completed activities to qualify him for his Pioneer Cord (2002), Explorer Cord (2003) and was recently presented with his Green Cord - the Adventurer Award. 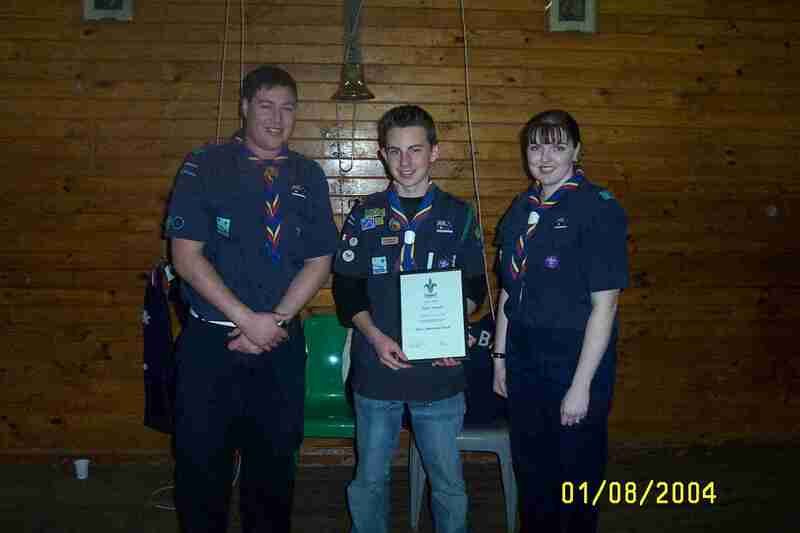 We congratulate Angus on his efforts and hard work in Scouting and we are sure he’ll remember all the great times. Randall Jones (Regional Com. 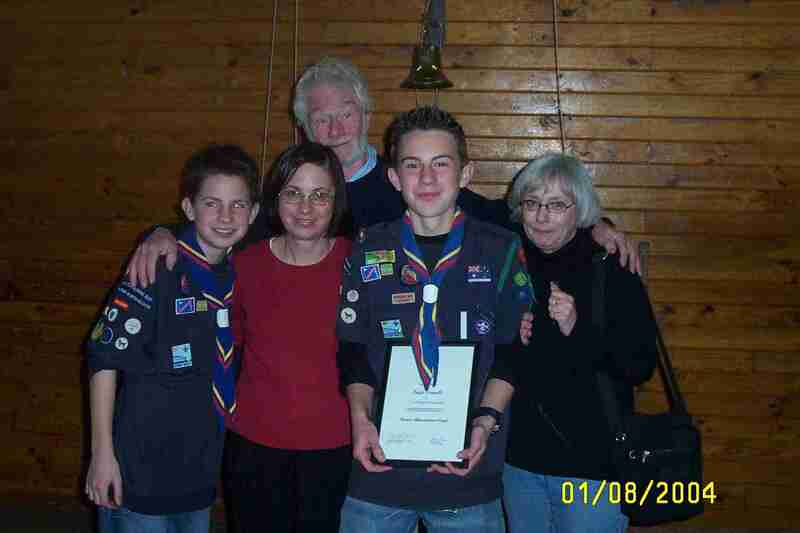 Scouts) presented the Cord. 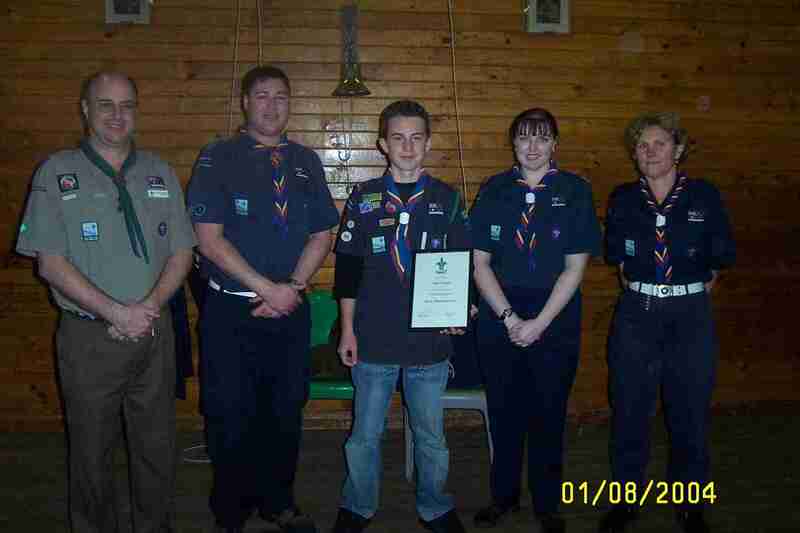 After 4 years in Scouts he has finally acheived his goals.